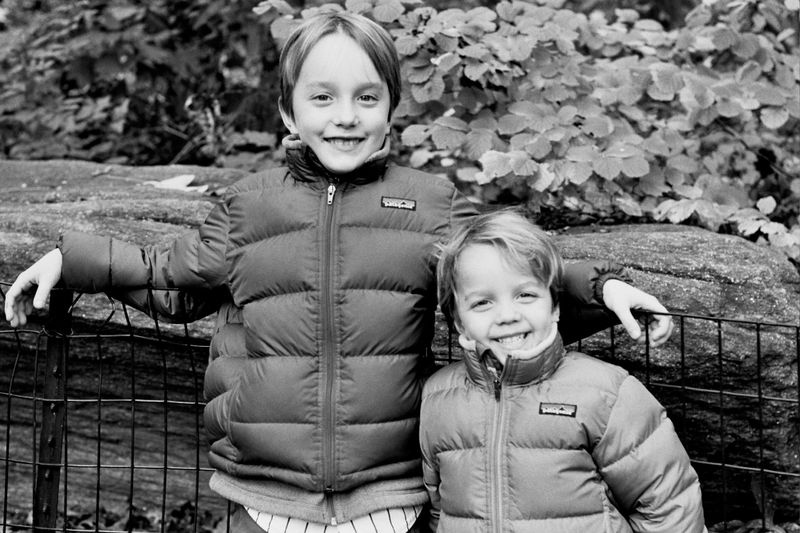 Luke and Owen were really excited to be photographed for their holiday card with their new family addition: Logan, a black labrador retriever. They were happy to play in the park, just throwing the ball and running in the leaves. One of the reasons I love photographing children and dogs is that they are so expressive of the joy they feel during play. With children, as with animals, there is nothing hidden or false. They are beautiful to photograph, no matter what emotion they are experiencing because it is so pure. I aspire to capture each moment and convey that joy as well as sincerity.